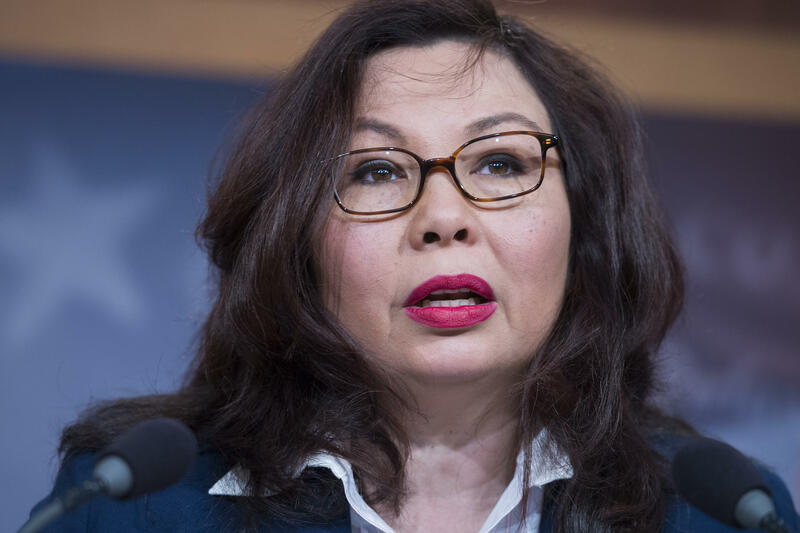 Sen. Tammy Duckworth, D-Illinois, says she's ready to "change some rules" in the Senate as she becomes the first sitting U.S. senator to give birth when she welcomes her second child, a baby girl due in April. Duckworth told Politico's "Women Rule" podcast that she faces an uphill battle when it comes to being a mother in office. "For example, you are not allowed to bring children onto the floor of the Senate at all," Duckworth noted. "If I have to vote, and I'm breastfeeding my child, especially during my maternity leave period, what do I do? Leave her sitting outside?" She added, "I can't leave her with a staff member, that's a conflict of interest, so am I allowed to vote? Can I not do my job? What are some of the requirements there?" Duckworth said she's also being told she can't "technically" take maternity leave to care for her daughter. "Because if I take maternity leave, then I won't be allowed to sponsor legislation or vote during that time period," she explained. In the meantime, Duckworth said she continues to work through current legislation and rules to find a solution to her predicament "so that other legislators behind me can continue to do their jobs but also look after their families." While Duckworth, an Iraq war veteran and double amputee, told CBS News' Nancy Cordes in an interview last month that her latest "first" in a career full of them is "ridiculous", she said she's been welcoming the sudden bipartisan spirit of her landmark pregnancy. "Other members on both sides of the aisle been fantastic, people come up to me and it's been almost a uniting piece of news. People are so happy, we've all been hungering for something non-partisan," she said. Duckworth has even been fielding suggestions for a name for her new little one. "Even Cory Gardener, (R-Colorado) said 'you know Cory is a unisex name'", said Duckworth. She added, laughing, "I told him I'm not sure I'm going to be naming my child after you, but thank you." While Duckworth said other new mothers need to learn that "the perfect life where you can do everything is a lie" pointing to the "normalcy" of families struggles, she said she hopes her pregnancy will inspire more women to get into office to create more "family-friendly" legislation. "It's a big deal because it shows women are finally getting to the halls of power and we need more of them, there's only 22 of them and it's not enough," she added.